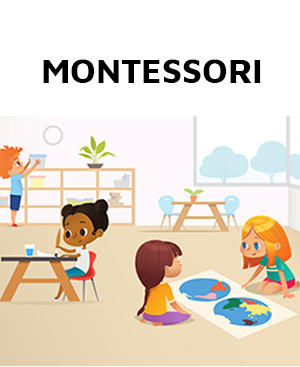 Montessori teacher education program provides students with the knowledge, skills and state requirements to teach in a montessori early childhood setting. This ten month program – which begins every fall and concludes in spring – is designed for those seeking to teach in a montessori or early childhood education setting or adults who wish to know more about montessori education. Occupational summary for elementary school teachers, except special education. Candidates will get an internationally recognized certificate to teach worldwide. Learn from highly qualified instructors with many years of real montessori experience and advanced degrees. Enjoy limited class sizes that allow for beneficial instructor/student mentoring. Participate in a hands-on practicum, applying new knowledge immediately and returning to class for support. Foster positive relations with families as well as young children. Use technology to foster and implement professional aspects of teacher resources and classroom documentation. Combine observation and documentation techniques through professional portfolio design for students and individual children. All certificate programs at our division of continuing education require professional-level english language proficiency in listening and note-taking, reading comprehension and vocabulary, written expression, and oral presentation.